Bali Traditional Tour Jaya Swara is one of the most famous and young people group dance performer in Ubud. They perform Legong dance story by 'Mahabarata'. Those dancers make a perfect timing perform in the dance. 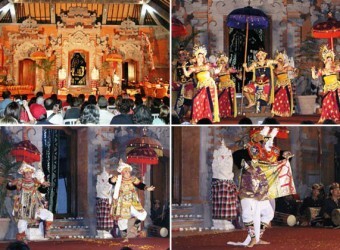 You should not miss this stage in Ubud.